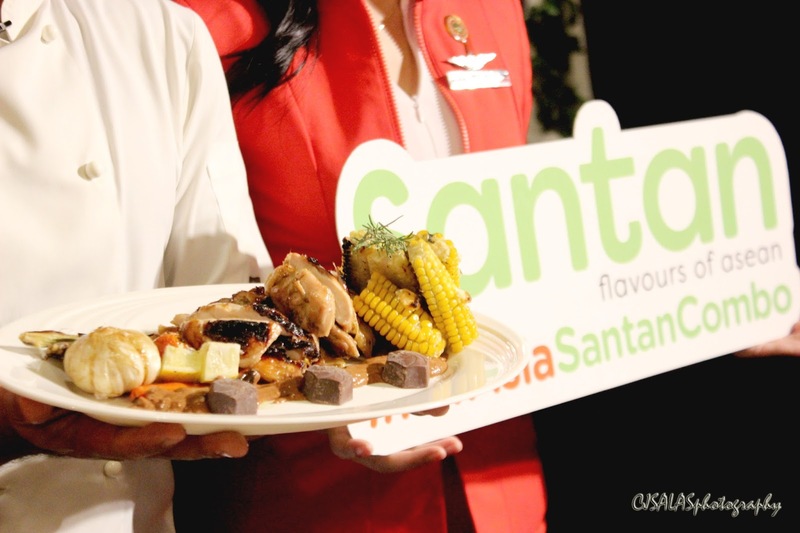 The Philippines AirAsia has just revealed its newest dish for its in-flight menu known as Santan. The dish is made by the rockstar chef of the Philippines, Chef JP Anglo, which will be served starting the 12th of April 2018. The dish will be known as the Roasted Dalandan Chicken with Pimiento Sauce. Roasted Dalandan Chicken with Pimiento Sauce is not an ordinary dish that will be served for a limited time. Yes, the dish is infused with a world-class chocolate of the Malagos chocolates with some sweet chili and soy taste. This is a taste of the Philippines’ offering in the Santan menu with a very extraordinary fusion of ingredients, but very tasty! Santan menu is a mix of different ASEAN dish favorites like the Nasi Lemak, Chicken Rice and Thai Green Curry. According to Chef JP Anglo, the dish is inspired for bringing a home grown product like the Malagos Chocolates to greater heights. The techniques used are also very Filipino like the grilling of the chicken meat and some essential ingredients like the pimiento for caramelization and aroma. The surprise of how it is done mixing the chocolate in the sauce is by adding “bridge” ingredients like soy sauce, vinegar and a special broth. The taste of the sauce is really surprising! I mean, upon tasting it, there’s the spice, chocolate, soy battling for the taste. That’s an experience! 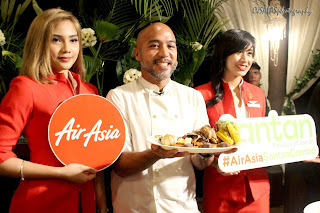 AirAsia as a champion low-cost carrier airline in the region and the Malagos Chocolate as reknowned one of the best chocolates in the world have met in the sky and let the passengers experience the service of AirAsia and taste of the Roasted Dalandan Chicken with Pimiento Sauce made with the Malagos chocolates. 10.07. Simple theme. Theme images by mammuth. Powered by Blogger.